Transfer contents of the SD memory card to a MicroSD memory card If you still have an image on a large SD memory card, then you have to bring for a Raspberry Pi 2 or 3 on a small MicroSD memory card. If you still have an image on a large SD memory card, then you have to bring for a Raspberry Pi 2 or 3 on a small MicroSD memory card. First, save the memory contents of the SD memory card in an image file. Then transfer this image file to a microSD card. If the image is already on a microSD card, it is still advisable to backup the image file from the microSD card. Then you perform the upgrade. It is important that the upgrade is done on the MicroSD card in the old Raspberry Pi, not in the new Raspberry Pi. For the MicroSD card to work in an old Raspberry Pi, you have to work with an SD card adapter. First, update the package lists and then start the upgrade. 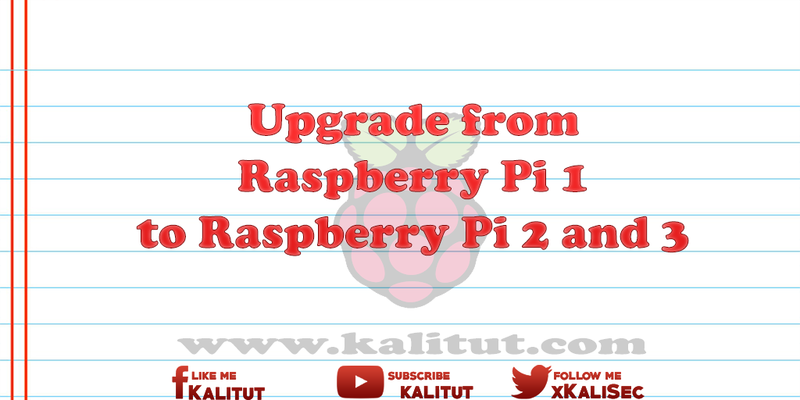 The upgrade will automatically bring the latest firmware and kernel for the new Raspberry Pi. This also updates other packages. This can sometimes cause problems later. An upgrade may include package changes that may cause malfunction. It can sometimes take longer than a full reconfiguration. In addition, you have to expect in a firmware and kernel upgrade "always" that there are problems. This means that the painstakingly configured installation will not work as intended afterwards. So you should think twice about a hardware change with an old installation and configuration. Especially if the last upgrade was a long time ago. If you decide then for a hardware change, then you should definitely create a backup image.